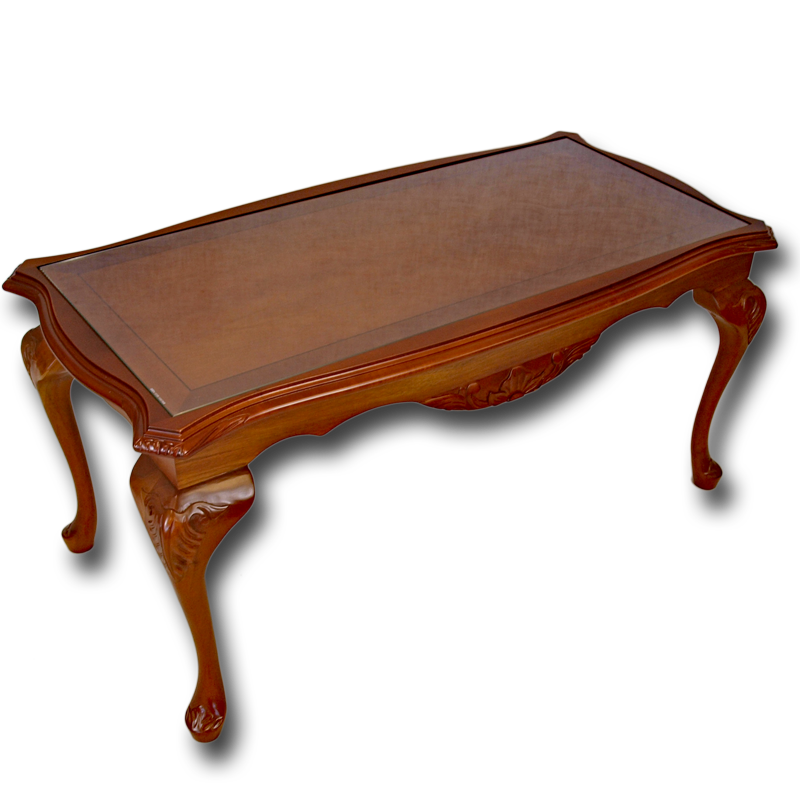 Lovely carved reproduction Queen Anne style coffee table (long john) has inset glass top to protect the inlaid wooden surface. 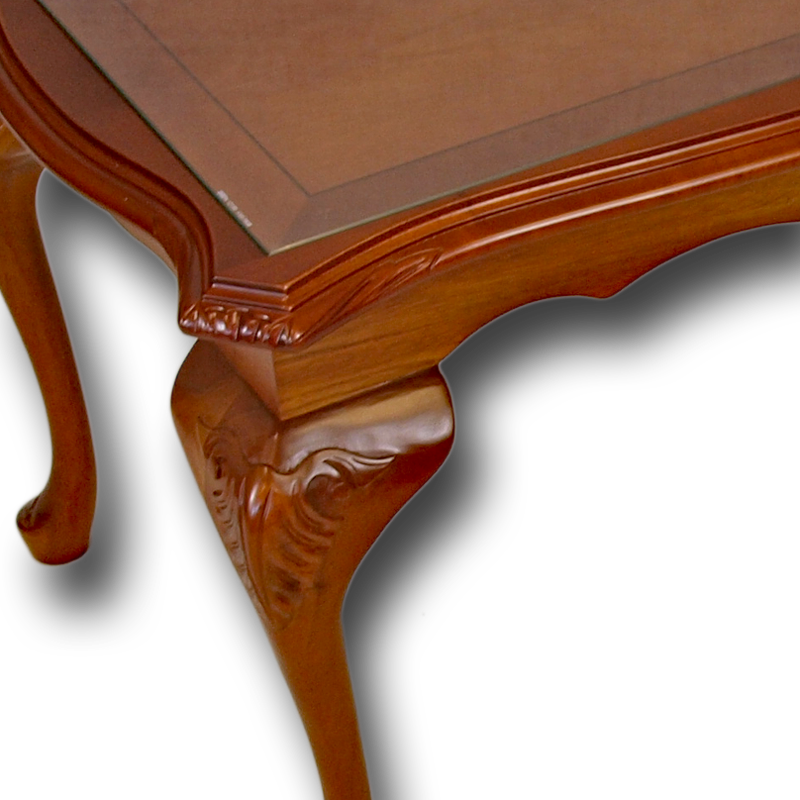 Fine carving displayed on the legs and table edges. 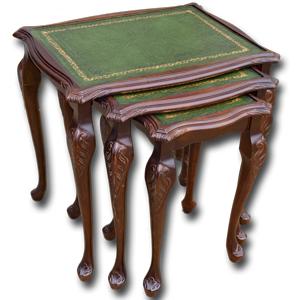 Reproduction Queen Anne style nest of 3 tables. Incredible attention to detail. Available in mahogany or yew, a variety of real leather insets with gold leaf tooling and with or without inset glass tops. Always in stock & awaiting your choice of finishes. 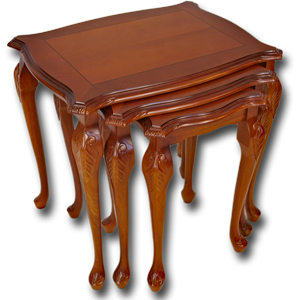 A great compliment to our Queen Anne style coffee tables with inset glass. 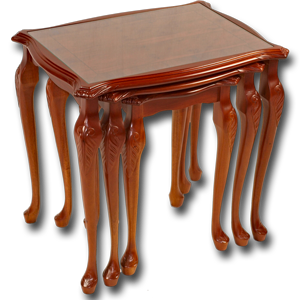 Excellent carving work to both legs and table edges. Always in stock & awaiting your choice of finish.